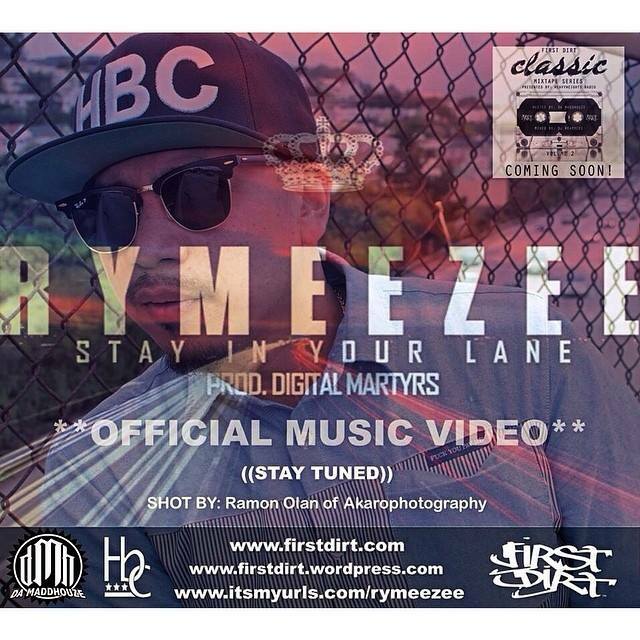 Here’s a raw visual from hip hop creative mind Rymeezee. Shot entirely in the Hawaiian Islands in the most chill & lowkey places. This piece shows his personal side & highlights what matters most. produced by: Digital Martyrs. This song will also be featured on First Dirt’s Classic Vol 2 (mixtape). The video drops next wednesday during the morning commute. Stay Tuned! First Dirt artists Timothy Rhyme (LA) and Rymeezee (SF) have teamed up once again for this visual along w/ the First Dirt fam. Last yr, they successfully completed the FDCA State Tour covering grounds up & down the coast not to mention opening up the PAID DUES MUSIC FESTIVAL. Here’s a recap of last year’s journey & cameos by familiar faces. They hold nothing back and tell it like it is. So many artists feel the need to make claims of having things they don’t have or doing things they don’t do. Not these emcees. They’re letting the industry and the streets know to watch out. They are serious and are coming for what they rightfully deserve…your head. Brought to you by First Dirt x Heirbourne Collection. Available iTunes, Rhapsody, Amazon, Google Play Store , Deezer, Beats Music & other fine online retailers. Friday April 11th, our fam will be doing an interview and dropping a new track titled “CAKE” Featuring First Dirt Artist Rymezee on DaMaddhouze radio on KCSF,it was produced by HD-Flats out of Los Angeles.